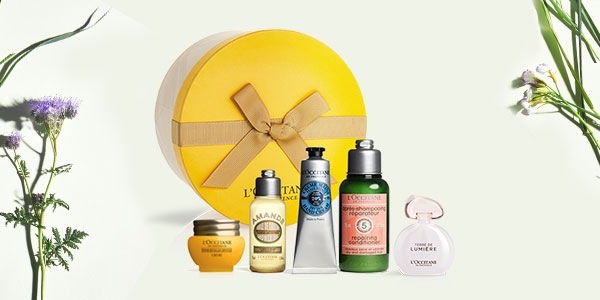 L'Occitane is a high end brand of health and beauty products. They offer natural beauty products such as annual Harvest collections, Shea Butter range, Aromachologie products and Immortelle skincare. With its roots in Provence, L'Occitane shares the colours, scents and traditions of the south of France with the world. For over 30 years, L'Occitane has been creating the highest quality body care, skincare and fragrance products using the finest natural ingredients from the Mediterranean and remains committed to its core values of Authenticity and Respect. 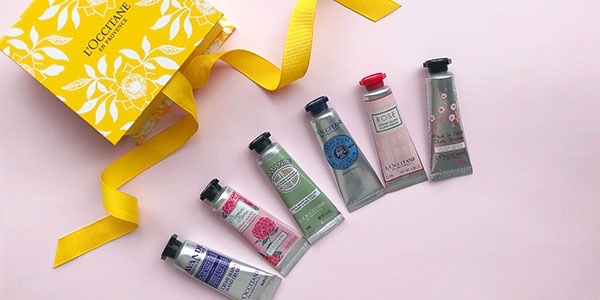 Get 6 FREE Mini Hand Creams when you spend £50 or more. Subject to availability, one per customer. Not redeemable with gift cards. 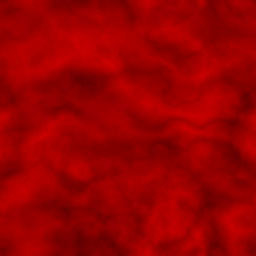 Not to be combined with any other promotions or discounts. Get a Your Beauty Heroes Collection for only £15 when you spend £30 (worth £29.50). Get a FREE Beauty Essentials Collection when you spend £120 or more. Get FREE standard delivery on orders over £35. Ongoing Offer automatically applied to your order where applicable. Get FREE samples with every purchase. Ongoing Standard site offer. Get FREE Gift Wrapping on all purchases. Ongoing Standard site offer. Shea Butter is renowned for its nourishing and protecting properties. This iconic natural ingredient is ideal to soothe dry and dehydrated skin during the Summer months. 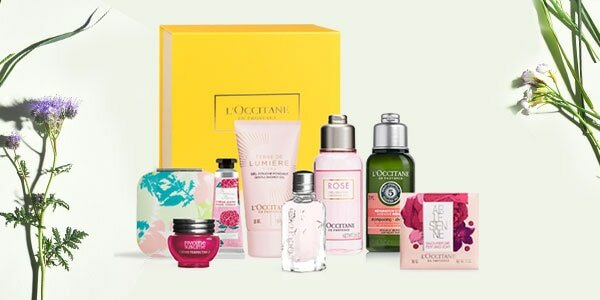 This collection includes: 75ml Ultra Rich Shower Cream 75ml Ultra Rich Body Lotion 10ml Shea Butter Hand Cream 50g Milk Shea Butter Soap 50ml Ultra Rich Shampoo 50ml Ultra Rich Conditioner in a L'OCCITANE cosmetic bag. The Precious Eye Balm helps to smooth, firm and reduce dark circles and puffiness. With 2 patents pending, our anti wrinkle eye cream Immortelle Precious Eye Balm offers a triple action to visibly reduce the appearance of wrinkles and help restore firmness to the skin. Each squeeze of the Verben Shower Gel releases the crisp, citrus scent of L'OCCITANE verbena. Essential oils of verbena, orange, geranium and lemon tree smooth and nurture even the most sensitive skin, and permeate the room with a winning aroma. Purchase in a more sustainable way with this ecological duo which contains: 250ml Verbena Shower Gel 500ml Verbena Shower Gel Refill. Discovery the magical nourishing powers of shea butter with our award winning Shea Butter Hand Cream and Shea Butter Foot Cream. With 5 patents, Divine Cream acts at the heart of cells* to visibly correct all signs of ageing, for beautiful, younger-looking skin. Brightening Touch Targeted Corrector helps to conceal dark spots, blemishes and signs of fatigue all day long while its active ingredients unify and brighten the complexion.